GT-10 Mill-Turn Gang Tool Lathe, 18" X-Axis Travel Absolute Encoders, 1-3/4" Spindle Bore with a range of Axial, Radial and Vertically mounted NSK highspeed spindles and or 2.2 kW servo drive live tool spindle options, several bar feed system options single bar and magazine type, 10 hp C-Axis Spindle. 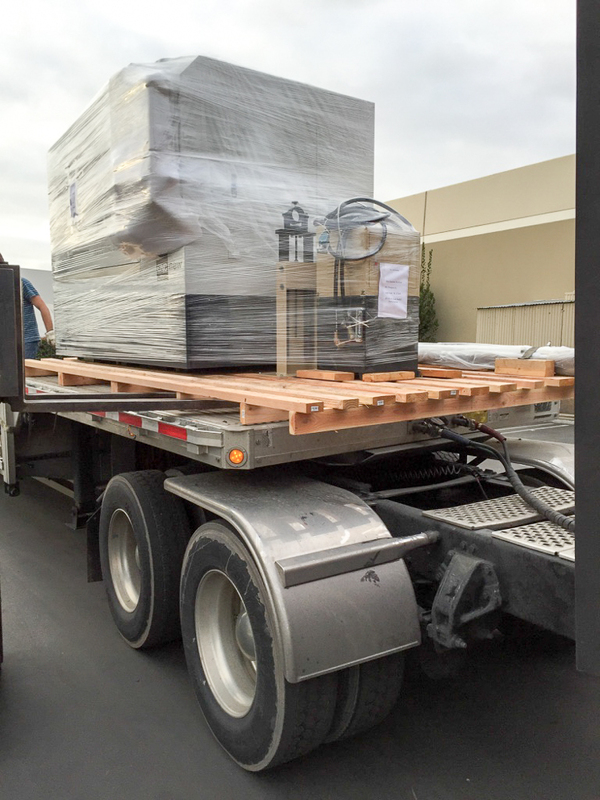 Use the Dropbox link to see additional accessories, photos and documents for these machines. Call to discuss your specific requirements. 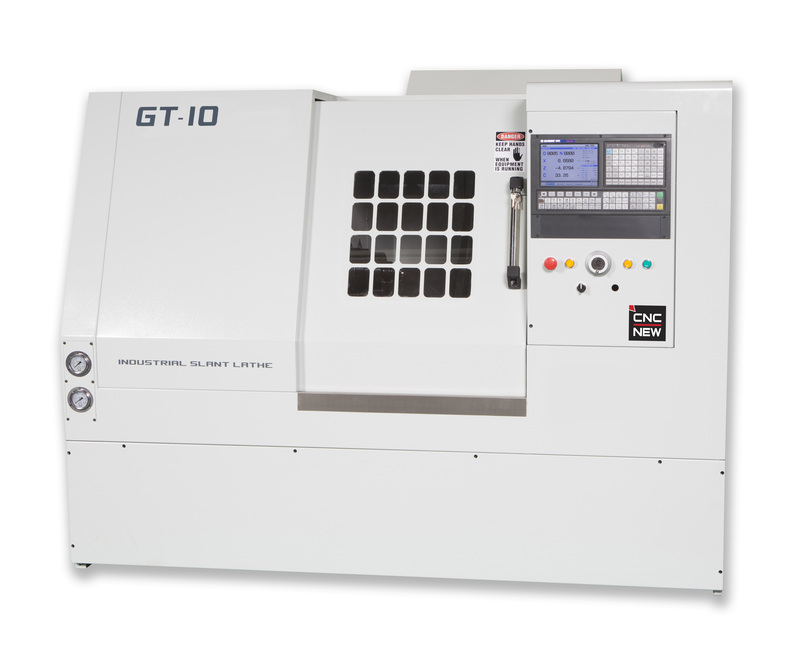 We are delighted to present the GT-10 gang tool lathe that is the affordable option for Mill-Turn options for turning centers. We are confident that you will find this product a versatile, flexible and reliable addition to your company’s manufacturing capabilities. Our single-piece heavy casting is the culmination of years of experience in machine tool manufacturing and offers the best features for gang tool and turret lathe construction. Our driven tool spindles can perform axial milling, drilling, boring, broaching, radial milling and gear hobbing, and tapping functions. The NEW 980TDi CNC control with updated software/hardware is a very aggressive full-featured control with 2ms block processing and programs with G-codes and M-functions. 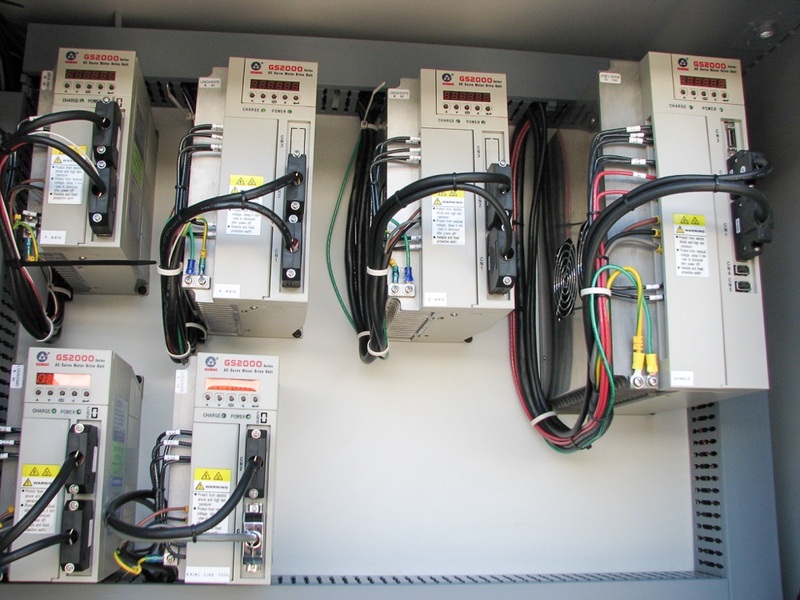 This control uses the GSKLINK bus technology, matched with 17bit absolute encoders that carry out automatic recovery of the system power-on no-block mechanical zero return, servo parameter on-line modification or servo state on-line diagnosis, etc. We are using a servomotor and drives on the spindles to perform C-Axis functions. This combination will provide the best performance and number of duty cycles per minute, and will also facilitate the use of live tools. Standard Features: 4-Axis simultaneous control, 5-axis digital feed control, 2-axis analog feed control, LAN interface Ethernet Port, complex curve surface machining speed: 8m/min optimum machining speed: 4m/min, Max. Positioning speed: 60m/min max. Feed-Rate: 15m/min 1000 block look-ahead and spline interpolation, Excellent high-precision and high-speed interpolation, Supports macro programs (Macro B) more concise programs, Supports PLC online monitoring, edit, compile and signal follow functions, Supports multiple languages with a change of a parameter, Supports RS232, USB and network interfaces and data transfer, DNC machining and USB on-line machining, Color LCD monitor with 800 X600 resolution 8.4 or Optional 10.4, Rigid tapping, graphic programming, run and test program by hand wheel, 208v (Range 190-240) 3-phase system electronics. 64M program space 60Mb user storage (program capacity). We have also developed post processors for the GSK controls in Autodesks cloud product Fusion 360 CAM software to solve the programming challenges involved with this type of 5-Axis work. C-Axis Indexing Increment 0.001 deg. 360k Radial Pos.